The negotiation process is complicated because all the parties involved want to win. The most effective methods of negotiation involve strategic planning. Tomal and Schilling (2013) suggested that strategic planning can help navigate the process by identifying and prioritizing major issues that require addressing and establishes goals to strive for that serve to improve conditions. Without strategic planning, incumbents waste valuable time which can result in an unproductive bargaining process (Tomal & Schilling, 2013). For example, in the negotiation process that involved the Writers Guild of America (WGA), network producers involved with this case study, claimed that the WGA representatives were not bargaining in good faith because after many attempts to begin the negotiation process nothing was achieved. It was clear that the two sides came to the table with fixed positions and neither side was willing to compromise. This was evident by the lack of progress they made each time they met and at times how quickly the meetings adjourned. This does not necessarily translate that the WGA was not bargaining in good faith merely that no one was willing to bend on important issues. When employees protest or contest their contract or work conditions it is usually because they are looking for a change or improvement in their environment after conventional methods have proven ineffective. Clark and Delaney (2002) stated that employees want more input not only on wages and in the conditions of their environment, they want more influence in other spheres as well, including the design or outcome of products, the selection of supervisors and other areas that are significant to them. In short, the negotiation and bargaining processes are much more complicated and involved than they were in the past (Clark & Delaney, 2002). For example, the WGA went on strike as a strategy to put pressure on producers as a device to strengthen their position in the negotiation process. To strike during the midst of the television production season was one strategy they used to force producers to come to a decision quickly without interrupting production schedules. To avoid the strike, the producers could have identified the WGA’s expectations and perceptions to better understand their position before it escalated to that level. Although the conflict existed between creative professionals and producers, a dispute in working conditions affects all industries the same, whether autoworkers, airlines, or the entertainment industry. Holley, Jennings and Wolters’ research (2012) suggests that because of various changes in the public and private sectors, the negotiation and administration of work rules must continue to evolve as well. Regardless of industry, negotiations are carried out effectively by preparation, collecting information and a determination from each party to attain their goals (Holley, Jennings, & Wolters, 2012). By analyzing, renegotiating and revising work rules, employers can learn to effectively manage their employees and their work related issues to avoid conflict. 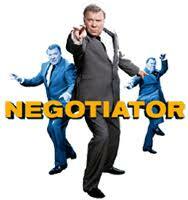 Each and every one of us is a negotiator. Every day we negotiate with someone in our life, whether it is at home with family, at work with colleagues, or at school with classmates. McGraw (2012) points out that we are often engaged in some kind of negotiation every time we try to find ways to inspire our children to eat healthier meals or plead with loved ones to spend quality time with us. He offered the following tips that can help the negotiation process go smoother: (a) find out what the other party really wants because it may actually be quite different than what they are asking for; (b) do your research ahead of time and identify what are reasonable expectations; and (c) figure out what their values and wants are so you can work out a compromise (McGraw, 2012). When both parties fail to display effective bargaining skills and cling to “stonewall” positions, where neither seems willing to compromise, the aforementioned strategies have proven effective. In the WGA negotiation case, it took the involvement of the Director’s Guild before a resolution was finally achieved. In conclusion, for the negotiation process to be more effective, both parties need to identify the form of currency the other side values, whether in the form of benefits and compensation, social status, or a deeper level of job satisfaction, and equally important is that both parties enter the negotiation process with a willingness to make concessions. Clark, P., & Delaney, J. (2002). Collective bargaining in the private sector. Champaign, IL, USA: Industrial Relations Research Assoc. Holley, W., Jennings, K., & Wolters, R. (2012). The Labor Relations Process (10th ed.). Mason, OH, USA: Cengage Learning. McGraw, P. (2012). Life code. Los Angeles, CA, USA: Bird Street Books. Tomal, D., & Schilling, C. (2013). Managing human resources and collective bargaining. Plymouth, England, UK: Rowman & Littlefield Publishers, Inc.